The internet is a fresh avenue for international trade, offering domestic SMEs a slice of the global pie that was once saved for giant corporations. 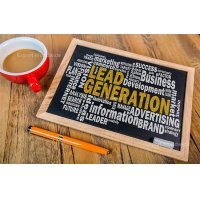 The easiest way to tap into international markets is to use an online lead generation platform. But what does that involve? And how do you use one effectively? Let’s look at the steps you need to take to achieve your international ambitions with the help of a leading multilingual platform. 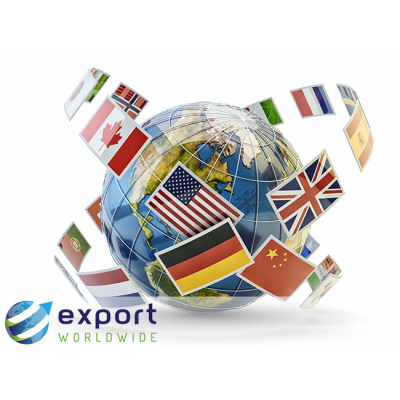 Your Export Worldwide account consists of microsites that are separate from your own domain. Together, though, they promote your brand, boost each other’s search engine rankings and increase the likelihood of your products and services being found. Because of this, it’s important that your Export Worldwide microsites get the attention they need. Thankfully, your microsite won’t need as much tender loving care as your own website. Development is constantly monitored by the Export Worldwide team, and search engine optimisation (SEO) factors, like backlinks, are taken care of. Make sure you’re getting the most out of your account by regularly checking on the performance of your pages through the platform’s powerful analytics tools. Visible branding helps turn you into an internationally recognised business that resonates with buyers as soon as they see your logo. It’s crucial that your company information and brand story is well written, up to date and published on the platform. Upload your logo, complete your company information and create an ‘About Us’ page. This way, customers who find you on Export Worldwide will have a face to go alongside the name and a backstory about who they’re buying from. Create easily translatable content and let hybrid translation convert it into effective pages in 20 languages. To write in translatable English, focus on simple text. Scrap the idioms and complex sentence structures in favour of straightforward language that prioritises clarity over anything else. Not only is a simple style of writing beneficial for translation, but it can come across better for your readers, too: No one wants to struggle through painfully long sentences with dictionary in hand, re-reading the same paragraph over and over. Tell the reader what they want and need to know, and tell them succinctly. SEO is the process of improving a web page’s visibility in search engines, with the purpose of driving more visitors towards it. The aim is get your content on page one of search results for a given search term/keyword. This is easier in languages other than in English because so few companies create multilingual content due to the time and costs they assume are involved. 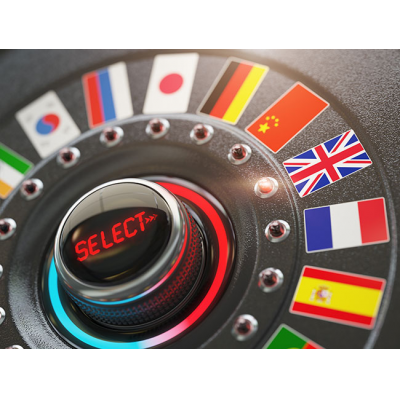 As an innovative global SEO platform, Export Worldwide allows you to publish content in 20 languages at a fraction of the cost of mother-tongue translators. You can quickly appear on page one of international search results and get the upper hand over your competitors in new international markets. To do so, you need a set of keywords to target. These are the search terms that you think potential customers will use to find you. Researching what people are searching for, how many are searching, and the competition you face from other web pages, should dictate the keywords you choose to write your content around. 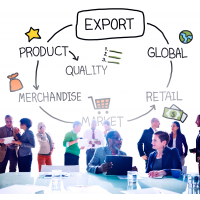 Once you have your primary keywords, optimising your content on Export Worldwide is simple. You’ll be guided every step of the way as to where, why and how you fit your keywords into your content. For example, it’s important that you include the keyword in the page title, URL text, meta description and main body of the text. A traffic light system will tell you how well optimised a given page is, making it easy to see when your content is ready to be published. 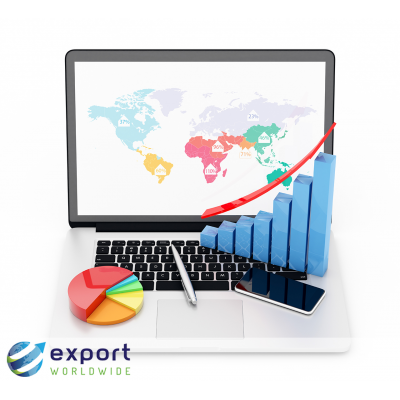 You can monitor your SEO using Export Worldwide’s comprehensive analytics reports, helping you boost the visibility of your online presence in international search engine results. 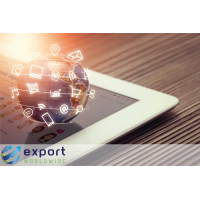 As a complete global digital marketing platform, Export Worldwide allows you to publish any blog or article content you have. Publishing articles works in the same way as product or service pages: Choose a keyword to target, optimise your content and make sure you’re on the green end of the SEO traffic light system. Your articles are another opportunity for your brand to appear in search engine results, providing a second route through which customers can find you. By linking to your product/service pages from your articles, you boost traffic to your content and maximise your chances of generating leads. 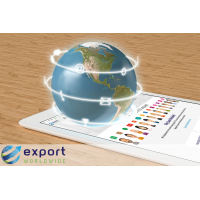 Export Worldwide allows you to upload PDF documents, which can be anything from datasheets to whitepapers. These can be accessed through your account and linked to from any of your product or service pages. It’s an ideal solution for when you can’t fit things into a normal length article or product page, giving your readers more information as to why they should choose your business. 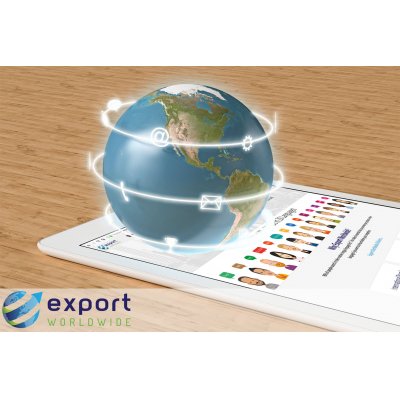 Export Worldwide enables you to translate content into the 20 languages that cover 110 countries and 84% of world trade. The scope for reaching international customers with your products and services is huge, so why wouldn’t you take advantage of it? Armagard, Export Worldwide’s longest running user, didn’t think there was a market for its products in the Netherlands, so never translated into Dutch. However, using Export Worldwide, the company translated their content into all 20 languages—including Dutch—and discovered that the Netherlands is one of its most-profitable markets. 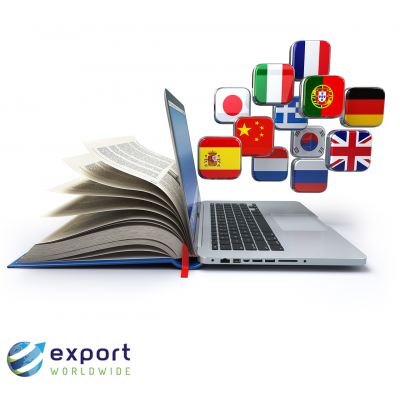 Use Export Worldwide to generate multilingual content and identify your ideal markets. The platform’s market analysis reports allow you to see where your traffic and leads are coming from, helping you further-optimise your online presence for those languages in the future. Analyse the performance of your international trade campaign using Export Worldwide’s market analysis tools. These reports help you understand the performance of your products and keywords across all 20 languages. These reports give you a good indication of where you’re going right and wrong. If certain products aren’t performing well in certain countries, why? Have you chosen the wrong keywords? Do you need to re-evaluate how you’ve written the pages? Or is it simply a lack of demand in those regions? Business owners have never had so much information with which to inform their future marketing. 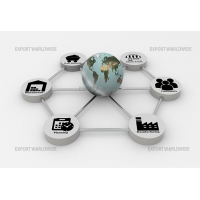 Export Worldwide provides this information in easy-to-use reports that you can access at any time. You also get a monthly email that highlights your most-important metrics. The key to driving traffic towards your pages is ranking highly on search engines. Your pages are unlikely to attract any visitors, gain any leads or make any sales if they’re sitting on page 99 of Google. Make it to the top three results of page one, though, and you’ve struck gold. 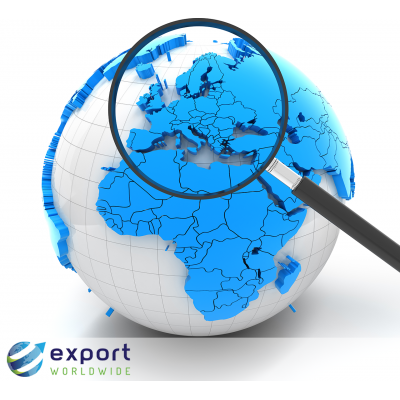 Regularly check the Export Worldwide ranking reports to find out how well your keywords are performing. You can access daily reports for the major search engines and see how rankings have fluctuated over time. This tells you if you’ve hit the jackpot with well performing keywords, and it enables you to react to poorly performing keywords quickly. Alongside every Export Worldwide visitor is their footprint. Clicking this shows you how the person landed on your content and their movements around your pages, articles and documents. Did they find you through Google or via a link from a separate website? How many of your pages did they visit, and did they follow bookmark any of them? Discover all this and more. Visitor footprints provide your marketing team with vital information that can be used to up-sell, cross-sell and identify your best performing content. 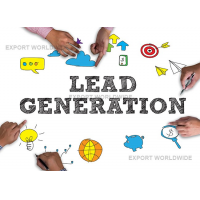 Respond to leads as soon as possible. There are countless other companies that your enquirers could have contacted, but they didn’t—they chose you. Give your prospects the information they need quickly to maximise the chances of them turning into sales. 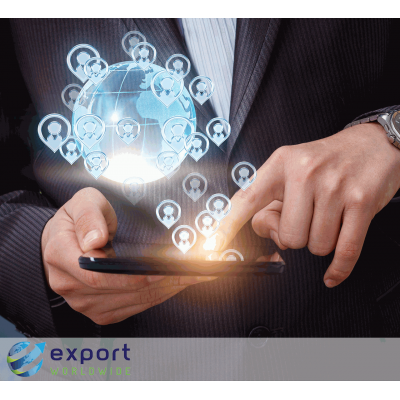 As a global lead generation platform, Export Worldwide allows you to access your current and historical enquiries at any time via your marketing reports. 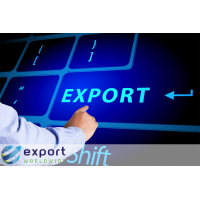 Export Worldwide is available on a pay-by-use basis. You can choose to do it all yourself, and make use of the platform’s comprehensive training package, or you can ask Export Worldwide’s experienced copywriters and SEO professionals to do it for you. The in-house team have a huge amount of experience in keyword research and content writing. By asking them to do the work for you, you get your brand online in 20 languages quickly and cost-effectively. They’ll work with you throughout the whole process, from keyword research to analysing your markets, ensuring the finished product represents your business and brand exactly as you want. Reaching international customers has never been easier. 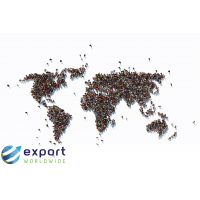 Book a free, no-obligation demo to find out how Export Worldwide can help you achieve your international ambitions.